Those who do not embrace Islam are regarded as blasphemers in countries dominated by the adherents of that religion. The prophet Muhammad commanded his followers to wage a holy war (Jehad) against such blasphemers. If the "blasphemers" accept Islam, they live. If they do not, they die. It was the night of January 30, 1998, in Sulan Pura, District of Sheikhupura, when a group of fanatic Muslims brutally killed Noor Alam, a fifty-eight year old Presbyterian minister. Alam lived in the same locality for the last twenty years with his wife, Sakeena, and daughter, Shazia. A school teacher, he had retired and had begun preaching the Word of God in the village of Sultan Pura. Instead of heeding the warnings of the Muslims, however, the Christians bravely continued construction of their building. Without warning one day a Muslim mob rushed toward the building, tearing down its walls and throwing the cross in a dirty pond nearby. Ridiculing and humiliating the Christians, they warned the minister and his congregation, "If you dare to construct this church, you will bear the consequences." Alam and the congregation experienced a great sense of insecurity and fear, but they would not stop the construction project, even though the fanatic mob had done heavy damage to the new building. Then came the cruel night of January 30, 1998. Three Muslims, obeying the command of their prophet Muhammad, came into the Alam house, stabbed him without mercy and then ran away. Family members took the preacher of the gospel to the Mayo Hospital in Lahore, about two hours from Sultan Pura. Admitted for emergency treatment, Alam succumbed to the excruciating pains and deep wounds inflicted upon him by the Muslim trio. Blessed are those "who have been beheaded because of the testimony of Jesus and because of the word of God" (Revelation 20:4). Alam had left this angry world for the peace of His heavenly Father. According to an American report carried in the Daily Din (Lahore) of February 2, 1998, a case had been registered to no avail against Muhammad Habib Ullah Dogar and his two accomplices. 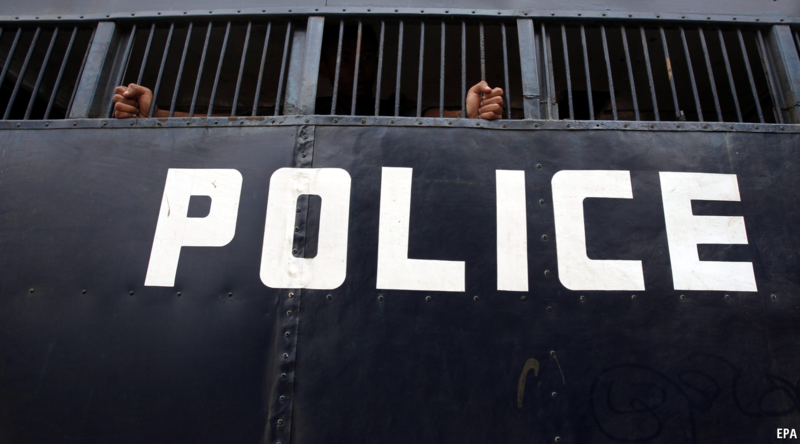 According to the report, the administration and local police could not arrest the suspects because the victim belonged to a poor Christian community whose voice does not reach the ears of the higher authorities. Pray for the security of the other members of the Alam family and for those who are doing the Lord's work in this difficult and insecure country where according to The News, Lahore, March 11, 1998, "the government's authority has been completely eroded by terrorists and in fact, there exists no government." Where there is no government and authority, how can we expect security, justice and peace? May the blood of His martyrs establish justice and peace in Pakistan and in other areas of the world where Christians are being persecuted by those who do not know Jesus Christ! 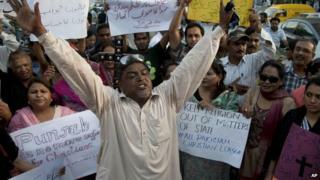 The BBC looks at Pakistan's blasphemy laws, which have caused the deaths of scores of people . Rome's ancient Colosseum was lit in red on Saturday in solidarity with persecuted Christians, particularly Asia Bibi, a woman condemned to death under Pakistan's blasphemy laws. Saleem Massey. Mr. Massey is a Pakistani Christian carrying on an extensive work among the Pakistani people in a number of villages. Bob Stacy, regular contributor to The Restoration Herald, visited with Saleem. His article concerning his trip to Pakistan appeared in the September '97, October '97, and December '97 issues of RH.